Also included in Nokia’s purchase of Alcatel Lucent equipment lines is the Lucent SLC Series 5, a digital loop carrier system that supports up to 96 channels of service and dual channel banks, as well as 192 lines in the same space. The Alcatel Lucent SLC-5 can be multiplexed to deliver high digital rates to your subscribers. While the device has reached its end of support life, Worldwide Supply offers used and refurbished Alcatel Lucent SLC-5 systems to help you continue to build out and support a growing network. 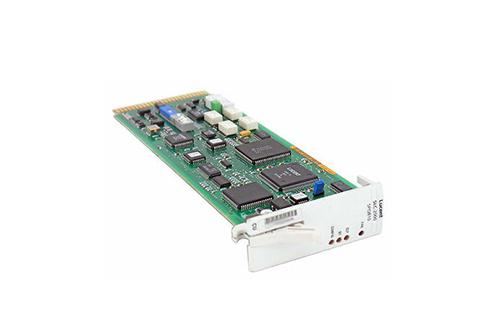 We maintain original OEM functionality so your used Alcatel Lucent SLC-5 from us supports TR-303 interfacing with a DSM-100, EWSD and 5ESS. Its universal design supports a remote terminal and a central office terminal so you can use the digital interface that best works with your existing deployment. The Lucent SLC Series 5 provides consistent, dependable subscriber line carrier support for telephone exchange and interface functionality, allowing you to support a broad base of dense subscribers. Experience minimal loss as you move from neighborhoods and high-traffic areas that are remote from your central office. With integrated communications support, you can deploy T-spans that terminate directly in your existing time division switching equipment that’s already in standard telephone exchanges. Used Alcatel Lucent SLC-5 series systems can support 96 customers each and provide you with an efficient configuration that reduces cost and improves reliability compared to deployments that rely on separate copper pairs run between each subscriber location.